Kindness comes in many forms, but all have a component of love. And love is all around us according to Hugh Grant in the movie, Love Actually. This is so true in Sedona, Az. 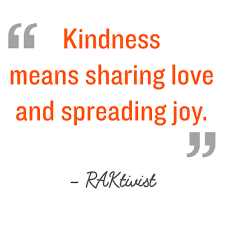 I see acts of kindness everywhere: letting a car cut into a long line of cars, friendly hello’s out on the hiking trails, locals helping tourist find their way around, the many organizations whose sole purpose is to improve our society…..the list could go on and on. One hears “thank you” many times a day. Kindness and thank you’s are often related, with one naturally following the other. However, a true act of kindness requires no “thank you,” and saying those two words is a kindness in itself. So, in an effort to remind myself to be kind or to seek out ways to be kind, I decided to keep track of the “thank you’s” I give and receive each day in December. I’m calling it The Thank You Challenge. I will keep a count throughout the month, and by the New Year, I hope I will be more aware of the ordinary kindnesses that I can do each day. The wonderful, giving month of December is full of opportunities to hear “thank you,” so I am hoping for big numbers! Will you join me?